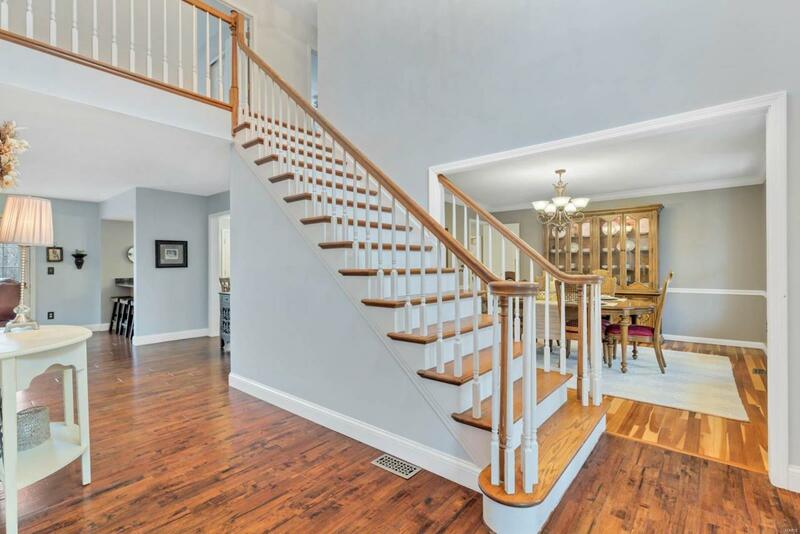 Stately two story tucked away on a beautiful .69 acre lot in desired Winding Trails. 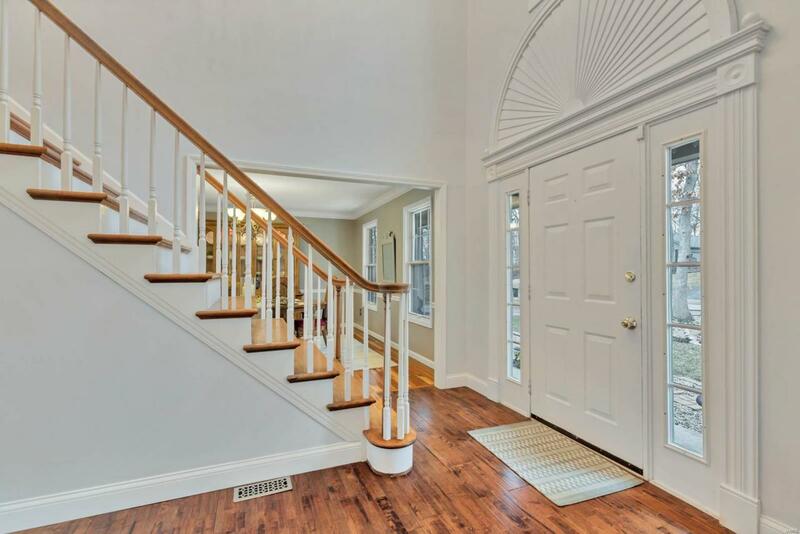 This property welcomes you in with a two story entry, flanked by formal dining and formal living rooms. 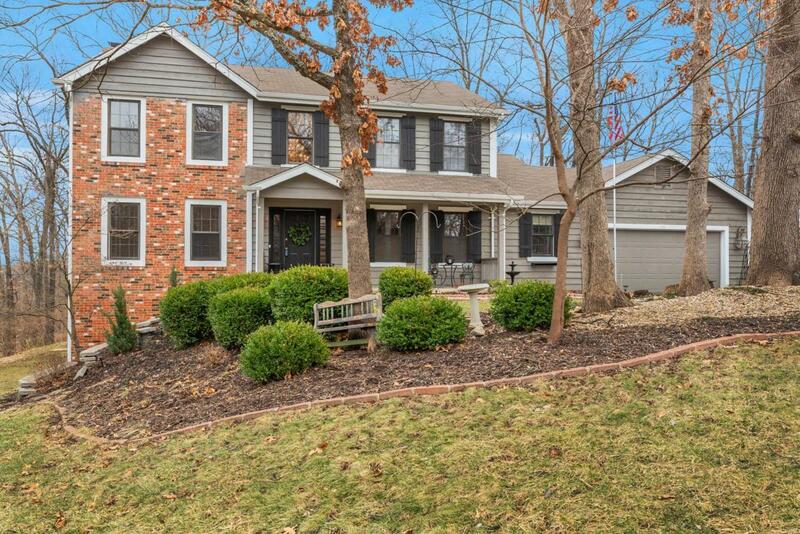 Rich, dark hardwoods transition you into the large family room with fireplace and bay window. See through dry bar opens into the light filled breakfast room and open kitchen with maple cabinetry, granite counters, upgraded appliances and custom island with gas cooktop perfect for the chef in the family! Upstairs find a large master suite with beam ceiling, walk in closet and updated ensuite bath with walk in shower, soaking tub and dual sinks. Three additional spacious bedrooms and a full bath round out the second floor. The walk out lower level has a deep pour and is perfect for a buyers finishing touches. Outside find a fresh composite deck (2017 ), A/C (2018), pergola (2018) and level, treed lot. 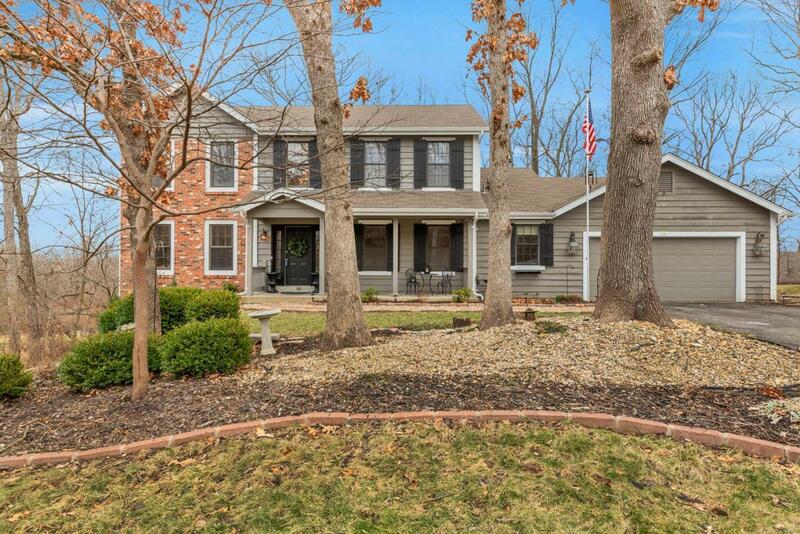 Oversized main floor laundry, subdivision pool and tennis, Rockwood School District. It's all here!